Staying true to your digital brand is crucial. While some people are averse to creating a digital brand, we know the perks of sticking to our brand. On the other hand, it can feel like we are putting ourselves into a box when we brand. 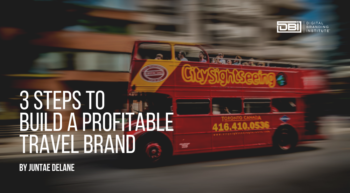 My goal is that this guide will help you pick a digital brand that you can be proud of. The first thing you need to do, if staying true to your digital brand is important, is pick a brand that is unique to you. Base your digital brand off of yourself! Many people try to become some weird version of what they think their brand should be online. If they are a realist, they try to be more optimistic, because that’s what they think people want to see. If they are a bit scattered, they try to be super organized and efficient, because that’s what they are told works in the online world. Trying to be anyone but yourself creates difficulty. It may be easy to keep up with at first, but eventually, your facade will crumble. You cannot keep up with a lie forever. So it is better to be 100% who you are in the end. Plus, people want to see people like them crushing it in the business world. There are so many positive people in the business community, if that’s not you, represent the person you are. Be who you truly are, and you will attract the people who are drawn to that type of person or who are that kind of person. For example, everyone needs someone to balance them out. Even the most optimistic person may be drawn to a realist because they balance them out. You can’t be optimistic 24/7, so a person who always sees the bright side of things may reach out to a realistic person for business advice. Take Tests: There are many personality tests like the Myers-Briggs test as well as the StrengthsFinder test that will help you learn more about your personality and what you are good at. You can use those to build a good base of information about who you are. Ask Your Close Friends/Family To Describe You In 3 Words: Simply send a text, call, or talk to your close friends/family in person. Ask them what three words come to mind first to describe you. Put those words in a document, and see what overlap there is, if any. If you are close with those friends/family members, there will probably be a little bit of overlap, and then you will know that those words are important. Do Some Soul Searching: How do you think of your self? Does it match with the information you found in the personality tests you have taken as well as what your friends/family think of you? If so, you are doing a great job showcasing your personality. If there is a bit of a gap, this could be for a variety of reasons: you are not honest with yourself, you are not as honest with your family/friends, or you aren’t taking the tests seriously. Once you can identify any gaps in your personality and you have come up with your actual character, you can inject that into the various aspects of your digital brand. If staying true to your digital brand is important to you, you don’t want to look for too much inspiration. Inspiration is important, don’t get me wrong, but if you are always looking for inspiration, it can get in the way of your natural brand. We want to have role models and people who inspire us. Once we become a looking for inspiration factory, though, it can stifle who we are. You have a set of traits that people will be drawn to. Whether you help people stay positive while losing weight or you help people have a realistic attitude on their journey to entrepreneurship, you have an angle. If you are always looking for inspiration in other corners, it could impact your natural personality. Instead, take a few inspiration breaks. It’s good to take a week off every now and again from looking at everyone else’s online presence. Instead of looking at other entrepreneurs, quotes, and listening to all your favorite podcasts, take a break. Pre-write a few weeks worth of blog posts, videos, or anything else you do, and just unplug. Be your own inspiration, and I promise you will feel more in tune with your brand afterward. Creating a brand board is tangible. Brand boards make the digital branding process a million times easier on you. So, how do you do this? Create a secret Pinterest board: You can have an unlimited number of secret Pinterest boards. Use one of those boards to gather images, words, etc. that showcase who you are as a brand. 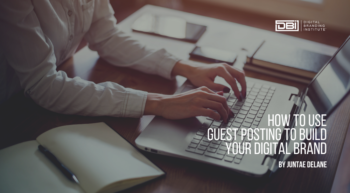 Choose images, quotes, and blog posts that make you feel most connected to your brand. Create a single image that encompasses your brand: Take images from a variety of sources and place them in a collage that represents your brand. Create a real board with printed images: When it comes to brand boards, you have probably most heard about them when it comes to a physical board. You can quickly take a poster or cork board and fill it with inspirational images, quotes, etc. that you find on the internet. Once you have your brand board in place, use it for inspiration. If you ever feel off brand, take a look at your brand board. Consider looking at this board like zeroing out a scale. Read the quotes, look at the pictures, and immerse yourself back in your personality. I would suggest creating this brand board when you feel clarity around your brand versus when you feel in a slump about your brand. You want to be able to constantly look back at what you created to get a spark of inspiration. After looking at your brand board, you should feel closer to your brand, not further away from it. It’s so easy to see some cool part of someone else’s digital brand and want to implement it right away. Before you decide to use something from someone else’s branding, ask if it fits into your branding. Each time you want to incorporate something new into your branding, you need to implement a waiting period. You should not be adding anything new to your digital brand unless you put some serious thought into the addition. So, get your evaluation cap on. Evaluate how this “thing” whatever it is is, will fit seamlessly into your digital brand. Anticipate how your current fans may react to the thing. Ask yourself if this is something you can pull off, or if it is just something cool you saw. For example, say you are a health and fitness expert. You saw someone in your niche offer one-on-one consultations as a part of their brand. Not only are they great at being a dietician online, but they can also expertly help people through one-on-one sessions. If you are a dietician, you may also think that one-on-one consultations would work wonders for your brand, but then you evaluate a bit further. Your audience is on a budget, to afford solid one-on-one meetings, they would have to pay a lot of money. They may be able to purchase a group session, but based on their criteria; you may want to skip out on a one-on-one session. In this example, if all things hold true and offering one-on-one dietician services fits seamlessly into your digital brand, and being a one-on-one dietician is something you can do, it still doesn’t work for your brand. If your audience cannot afford the one-on-one consultations you want to offer, this may not work for you. It doesn’t mean you have to stop dreaming about offering one-on-one work. That’s where the planning comes into play. You can start creating a funnel for your customers. Start with a smaller item for sale, then increase the offers in your funnel. You may not want to provide one-on-one consultations to your entire audience, so you still come off as accessible and instead offer your one-on-one services to your customers paying for the highest ticket item in your funnel. Since you are planning this funnel, you are not just launching a one-on-one program out of the blue. Taking the time to prepare new components of your brand can help make sure that everything feels and looks in alignment with your brand. When staying true to your digital brand is a concern, sometimes it is important to go back to basics. Meditation and journaling help you get back to yourself again. Many people lose sight of who we are throughout the week. As we are continually improving ourselves through the help of other people, we may forget parts of ourselves in that. Your brand depends on you, being you. So, daily meditation and journaling are vital. Self-care, in general, is a great thing for your brand. Harvard Business Review has an excellent article on meditation called, How Meditation Benefits CEOs, that is worth a read if you are interested in knowing the benefits of meditation for your business. Your meditation and journaling session could be a quick 30-minute task you do every morning, which sets you up for the rest of the day. Meditation is so accessible now because there are a myriad of meditation apps that you can download on your smartphone. This great list from Healthline features some of the meditation apps that are available for iPhone and Android. Journaling is also easy. All you need is a notebook, a pen, and a place to write in the morning. Take time to acknowledge your fears, express what you are thankful for, write down a quote that inspires you, etc. Your journal will become a great place to look back on as you do it more. Are you stuck on what to journal about? This article on the website Develop Good Habits lists over 30 ideas of what to journal about. Meditation and journaling daily will give you the clarity necessary to run your brand with ease. Staying true to your digital brand is so essential. Your audience has come to know you in a certain light, and you have come to know yourself in a certain light. 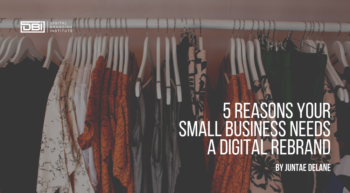 Staying true to your digital brand doesn’t mean that you can never change, but it’s about making sure that change is coming from the inside, and not because you are trying to chase what every other entrepreneur is doing. Is staying true to your digital brand important to you? What steps do you take to make sure that you are in alignment with your digital brand?